Finance professionals analyze past market trends and propose the most viable investments for the future. They are also responsible for auditing a company’s finances and reporting any irregularities to superiors. Those who acquire an education in finance expand on their mathematical skills in addition to their analytical & problem solving abilities. This is particularly important as finance specialists are required to deal with complex procedures used for analysis of financial and economic data. They evaluate financial statements and assess the financial situation of the company with the help of advanced models. They may also assist the senior management of the company in formulating appropriate strategies. How do I Obtain a PhD in Finance? A doctoral program in finance is intended to provide students with a specialized knowledge base of theoretical and empirical tools of finance. To enroll in a doctoral degree of finance, applicants must have at least a bachelor’s degree, though a master’s degree in a business related field gives candidates an edge in the admission process, take their GMAT or GRE as well as go through an interview with the university faculty. Prospective doctoral students will also be expected to have a strong background in mathematics. Once the students have fulfilled the coursework and research assignment requirements, they will be required to pass a qualifying examination which will allow them to proceed to the final stage of the doctoral program which involves conducting a case study or research on a particular topic within finance, upon the completion of which students submit their thesis to the faculty. The thesis is then reviewed, and once approved; students are called in for a dissertation where they defend their research methods and findings. 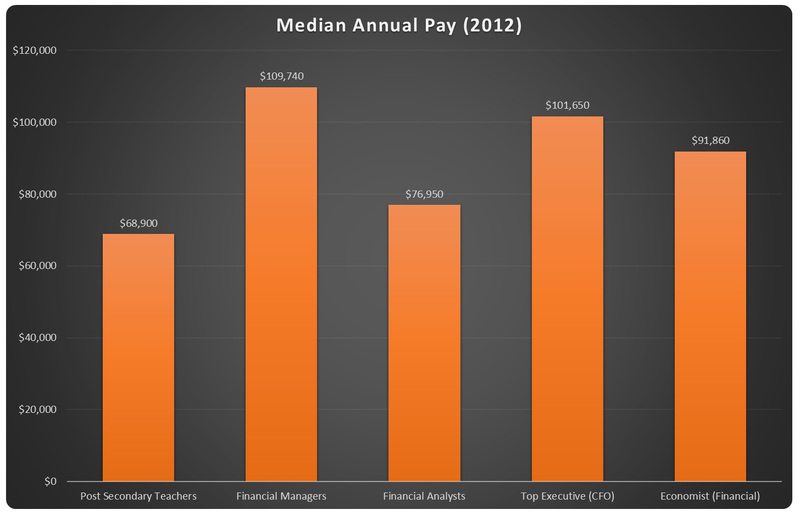 What is the Duration of a PhD in Finance Program? It normally takes four to five years to complete the PhD program. As it may have become clear by now, the program is divided into phases and you’ll only be allowed to move on to the next stage if you satisfy all the requirements of the previous stage. Therefore, the duration may vary from one person to another and may also depend on the university that you enroll in. Will I be Eligible to Apply for Financial Assistance? All prospective students are typically allowed to apply for a scholarship. It is a known fact that funding opportunities for research degree applicants exceed those for teaching degree students. Funding might be available from different sources. You’ll need to do your research. It is advisable to check the ‘financial aid page’ of the university that you are applying to. Besides university specific scholarships, there may be some grants offered by federal or state governments as well as other non-profit organizations. Doctoral scholarships offer fee waivers in addition to monthly stipends that cover the cost of living. As a qualifying requirement, you may have to assist an instructor in research activities or teach a class of undergraduate students. Why Should I Obtain a Doctorate in Finance? The most obvious career choice for doctoral students is teaching or research. However many graduates also go on to work in the corporate financial sector. It is essentially a matter of preferences and availability of relevant opportunities. 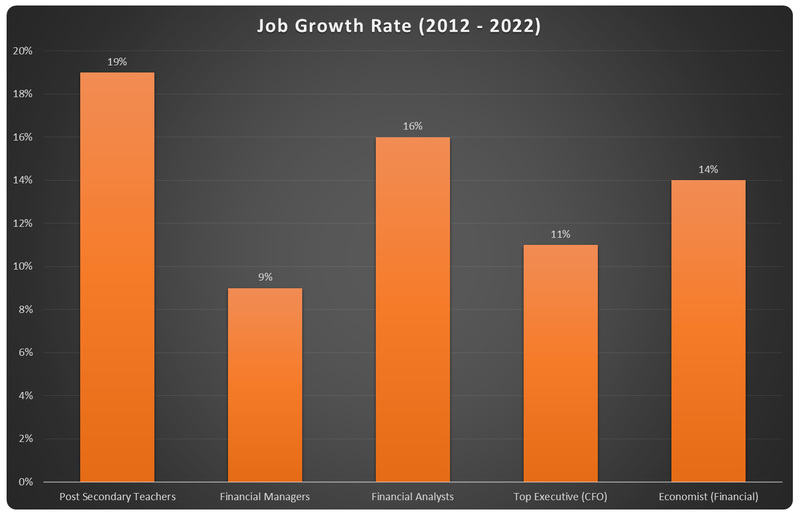 The Bureau of Labor Statistics (BLS) estimates different rates of increase in the employment opportunities for finance professionals, such as those working in banks, investment companies, credit unions, and insurance companies. If you’re wondering which industries tend to employ more of the finance graduates, you should look at the following pie chart. 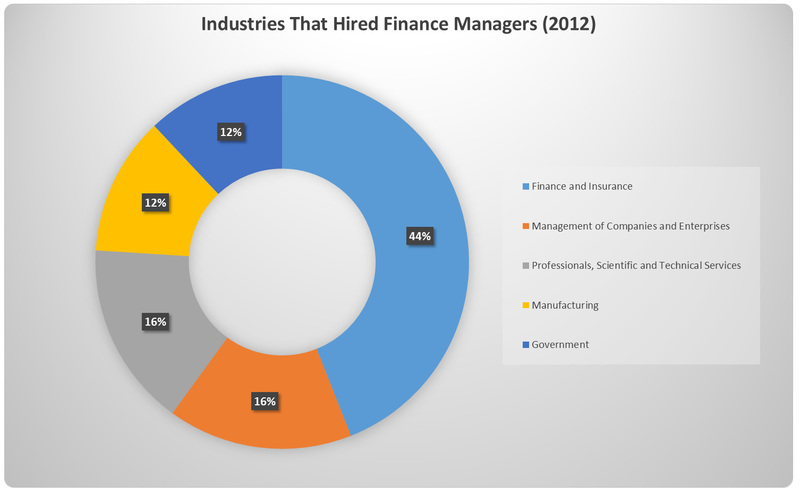 It shows which top industries hired financial managers in 2012. Q:Can you please tell me what are the contents of the course on Introduction to Psychology in the Doctoral in Finance? A:The Doctoral in Finance has dedicated course on Introduction to Psychology. This course usually is worth 2 credits in total. It is designed to provide students with strong understanding of the fields of psychology. Students are also given strong understanding of the different physiological mechanisms of the behavior of humans in a work environment. Hands on experience is also provided. Q:How long does it take to complete Finance PhD programs? A:Finance Phd Programs can be completed in 3 years if enrolled in a traditional campus based institute. However, mostly candidates get enrolled in the online PhD programs as it helps them keep up with their job alongside studying. The online PhD program has no specified duration and students can take as long as they want to complete the degree. Q:I am planning to opt for online PhD finance. Can you tell me its benefits over a traditional program? A:Online PhD finance is a good option for you if you need convenience and flexibility in your study schedule. Online program enable students to choose their own study schedule and learn at their own pace. They also cost effective as they have relatively less tuition costs and they save some additional costs incurred by students such as travelling, accommodation, and textbooks. Q:Can you tell me about the different learning resources used for online PhD in finance? A:Online PhD in finance makes use of a number of latest resources, to enhance the knowledge, understanding, and retention of students. These resources include video lectures, case studies, discussion threads, practice exercises with solutions, PowerPoint slides, animations, and online readings. They enable students to grasp concepts effectively, make the subject and revise them with ease. Q:PhD in Finance is what kind of a program? A:A phd in finance is a post-graduate degree. It is designed for students who have completed their bachelor level education. The program can have a duration ranging between 4 and 7 years. A PhD in finance will cover many advanced-level subjects and research projects. Students can prepare for leadership roles and job positions in finance departments with the help of a PhD qualification.